I was in London for a conference late last month, and although the weather forecast was for ‘white cloud’, it rained. Conference concluded, I returned to Istanbul and a different kind of white cloud, with precipitation brought on by water cannons. Despite this particularly unwelcome kind of stormy weather, it was heartening that only one speaker at the conference recently concluded here at Koç University’s Research Center for Anatolian Civilizations (RCAC), on İstiklal Caddesi in the heart of Beyoğlu, cancelled his attendance. That was remarkable because this was a Byzantine conference, and the academic community of Byzantine scholars is not perhaps the first place one would look for those who sympathise with Turkey and Turks. 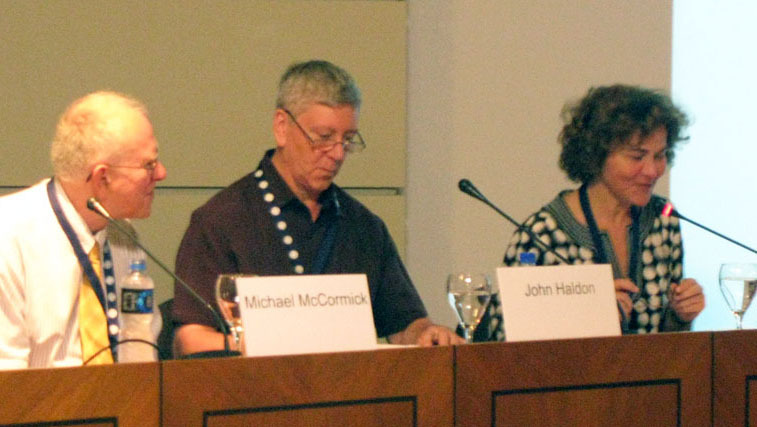 Still, all speakers (but one) – Turkish, Greek, western European, North American – came, and stayed. And so, this past week, with the weather bright and sunny, these Byzantine scholars, many of them luminaries, spent three and a half days at the RCAC giving papers concerning ‘Trade in Byzantium’, asking and answering questions and chairing panels. 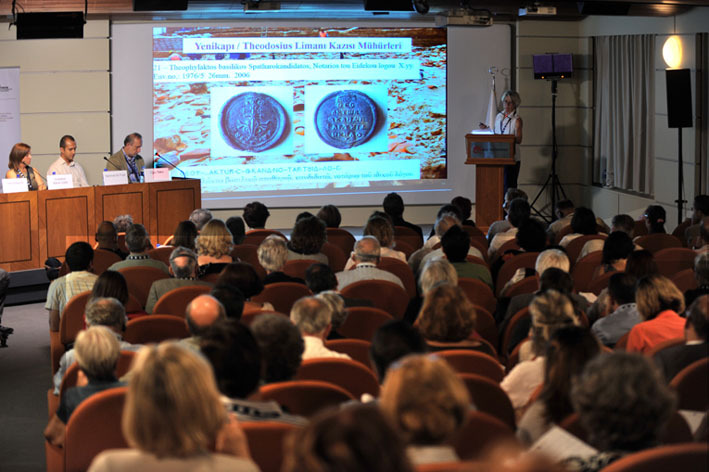 This was the third convocation of the International Sevgi Gönül Byzantine Studies Symposium, held in Istanbul every three years by the Vehbi Koç Foundation. Due largely to the spectacular finds at the Istanbul Archaeology Museums’ excavations at Yenikapı and other parts of the city affected by the Istanbul Metro and Marmaray construction, trade was chosen as the theme of this year’s symposium. In a week-long perfect storm of Byzantine events, this symposium (which despite the tense climate was well attended) was accompanied by three exhibition openings and four publications, all related to the theme of the conference. Serendipitously, as if that wasn't enough, archaeologists from the Istanbul Archaeology Museums recently uncovered their 37th shipwreck at Yenikapı, a merchantman dating to the 5-6th centuries AD, which conference speakers were able to visit after the concluding session. The contents, if not the actual ships' timbers, of four Byzantine shipwrecks are on display in Stories from the Hidden Harbour: Shipwrecks of Yenikapı, at the Istanbul Archaeology Museums, along with many other fascinating finds from the Yenikapı excavations. 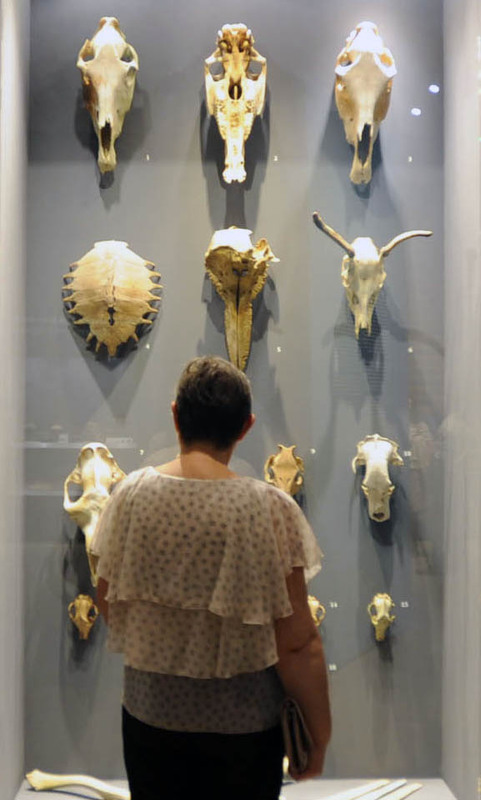 These included Neolithic footprints, Byzantine gold coins, and a wall of skulls representing a selection of critters (these included elephant and camel!) which had met their watery end hundreds of years ago at the bottom of the Harbour of Theodosius, as Yenikapı was called by the Byzantines. 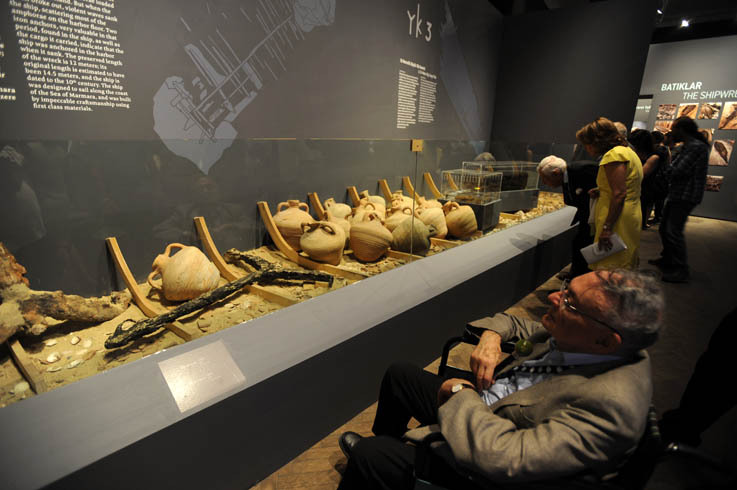 The exhibition, accompanied by a catalogue of the same name (available in Turkish and English versions), was innovatively designed by Pattu Mimarlık and features an interactive section which entertainingly informs the visitor about the excavations and the harbour. 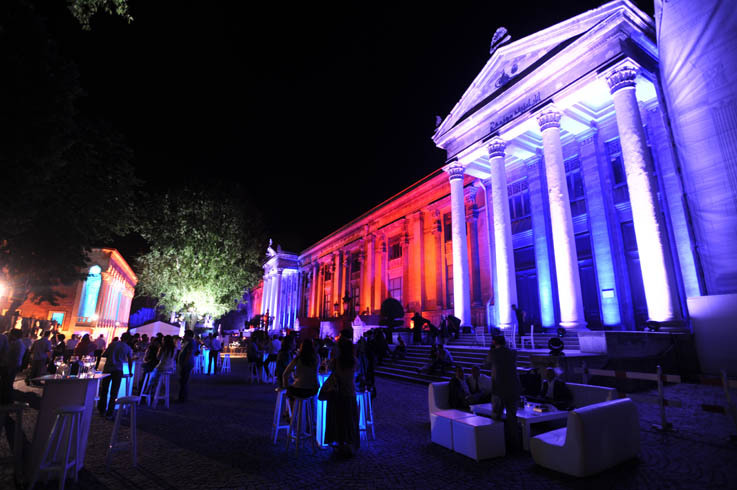 The opening of Stories from the Hidden Harbour at the Istanbul Archaeological Museums crowned the end of the symposium's first day in spectacular fashion. The end of the second day of the symposium was capped by the opening of two more exhibitions. This time the venue was the Gallery of the RCAC on Istiklal Caddesi. In the first, Artamanoff: Picturing Byzantine Istanbul, 1930–1947, the young Turkish Byzantinist Günder Varinlioğlu curated another look at the Byzantine past of the city, using photographs taken by a White Russian engineer, Robert College graduate and amateur photographer, Nicholas Artamanoff. Varinlioğlu selected these images from the archives of Dumbarton Oaks and the Freer/Sackler Galleries in Washington. Their display here in Istanbul is both beautiful and poignant, given how much the city has changed since those days, along with its Byzantine monuments, whose over-restoration may make authorities happy, but renders them well-nigh worthless as historical objects of scholarly study. 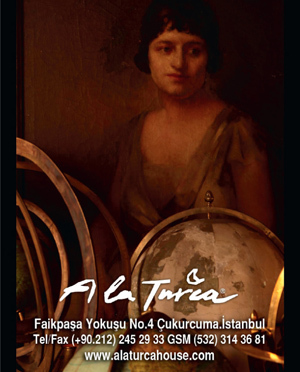 This catalogue too is available in both Turkish and English editions (order here). Also opening that night at the RCAC was a small exhibition of photographs from the excavations of this year’s symposiarch, Prof Zeynep Mercangöz of Ege University in İzmir, at the rich port site of Anaia/Kadı Kalesi, a few kilometers south of Kuşadası on Turkey’s Aegean coast. The bilingual catalogue accompanying this exhibition is entitled Byzantine Craftsmen, Latin Patrons and contains photographs of stunning late-Byzantine finds from the site, as well as essays concerning them. Like all of the books mentioned here, it was published by the Vehbi Koç Foundation. After the third day of the symposium, speakers and their guests were ferried by boat along the Golden Horn from Karaköy, under the hideous new metro bridge (whose curved 'horns' were, as promised in earlier models, being placed atop the bridge’s towers, as the boats passed – let’s see if they will indeed be painted gold, as threatened, in yet another act of aesthetic vandalism and bone-headed literalism on the part of the municipality) and on to a happier destination, the Rahmi Koç Museum. Here, at the Halat restaurant, dinner guests enjoyed a modern interpretation of Byzantine cuisine, researched by the food historian Aylin Öney Tan and prepared by the restaurant's chefs. Highlights for this attendee included sparkling wine flavoured with extract of violet or rose, saffron fish soup with cardamom, and lamb with musk. As the sun drained from the shores of the Golden Horn, it was possible to feel happy and sated. Not entirely due to the effects of the rose-tinged wine, cautiously optimistic about Byzantine studies in Turkey. How can I say something like this in the light of so much over-restoration, so much neglect, and so much depredation of the Byzantine heritage of Turkey – and, as if there are not enough mosques around already, the actual or threatened transformation of former Byzantine churches into mosques? Quite simply, due to the heroic work of the staff of Istanbul Archaeology Museums in excavating so much, and under such hard circumstances; for publishing literally as they dug; and for promises of perseverance in continuing to preserve, study and publish after excavations draw to a close in a couple of months. And also due to the promise of young (and youngish) Turkish Byzantine scholars in continuing to teach the history, art history and archaeology of the Byzantine past in the Empire’s former capital and elsewhere in Turkey. My head swimming and echoing with learned presentations on shipwrecks, port taxes and regulations, grain requisitioning, Sea of Marmara wine, silk workshops, grasping officials, slave traders, the timber trade, glass, glazed ceramics, amphorae, piracy, caravans, wharves, spices, medicines, doctors, salt, weights, lead seals and the like, I conclude my overview of the extraordinary events of the last week. If only for a limited time, Byzantium – and a Byzantium you are not perhaps used to – is back in Istanbul. In addition to the three publications mentioned here, the papers from the Second International Sevgi Gönül Byzantine Studies symposium were also published to coincide with this symposium, entitled The Byzantine Court: Source of Power and Culture. This can be ordered from cornucopia.net. The exhibitions at the RCAC continue until October 24, the exhibition at the Istanbul Archaeology Museum until December 25. Scott Redford is Professor in the Department of Archaeology and History of Art and Director of the Research Centre for Anatolian Civilisations, Koç University, Istanbul.